Nitrate contamination of groundwater is increasingly becoming a global concern due to its potential risks for human health. Fertilizer overuse is often thought to be the cause and a reduction in fertilizer use considered the most effective way of reducing contamination. The present study, however, presents the case of Zhangye City, Gansu Province, China, in which the nitrate contamination of underground sources of drinking water resulted from a combination of fertilizer overuse and a mismatch between the geological structure of farmland and the crop type cultivated upon it. In addition, a market-induced driver was identified for its role in accelerating the contamination process. 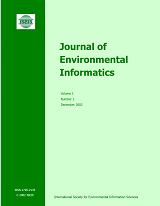 This new evidence emphasizes that environmental pollution is often driven by multiple factors of great complexity, demonstrating that causes of environmental problems should be addressed and analyzed with a cross-sectoral perspective. Furthermore, this case revealed that Chinese cabbages cultivated in a drought-stressed region contained very high nitrate concentrations that exceeded Acceptable Daily Intake level, whereas tomatoes and cucumbers from the same region were shown to contain nitrate levels within the safe range. These findings are useful for developing a new policy framework for environmentally sound agricultural planning.